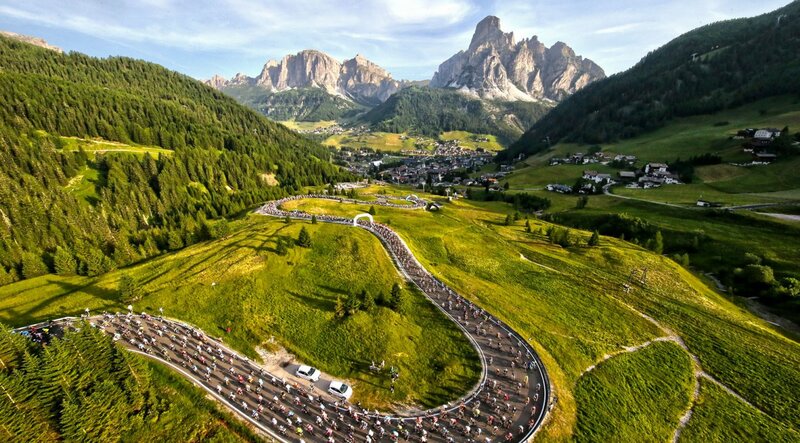 Unsurprisingly, with the 2018 World Champs being in the heart of the Austrian Alps, the routes for the road races include a whole heap of climbing. 4700m of climbing over 260km for the men and 2500m over 155km for the women. We’ve all seen profiles of many climbs over the years and when looked at individually, taking note of the elevation gain and distance, you can get a good idea of the severity of the climb, especially when they are coloured by the gradient. 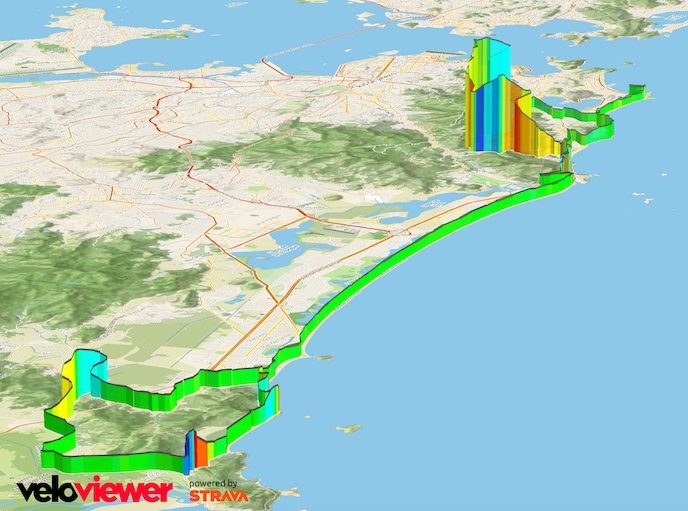 If you show two of these profiles next to each other then because the elevation and distance scales are usually very different it is very hard to get a feel for how one compares to the other. Last year I tweeted out images of a few climbs sharing the same scales but had to do lots of manually resizing to get them to be correct. Now we have a built in way to compare any segment/climb with any other. 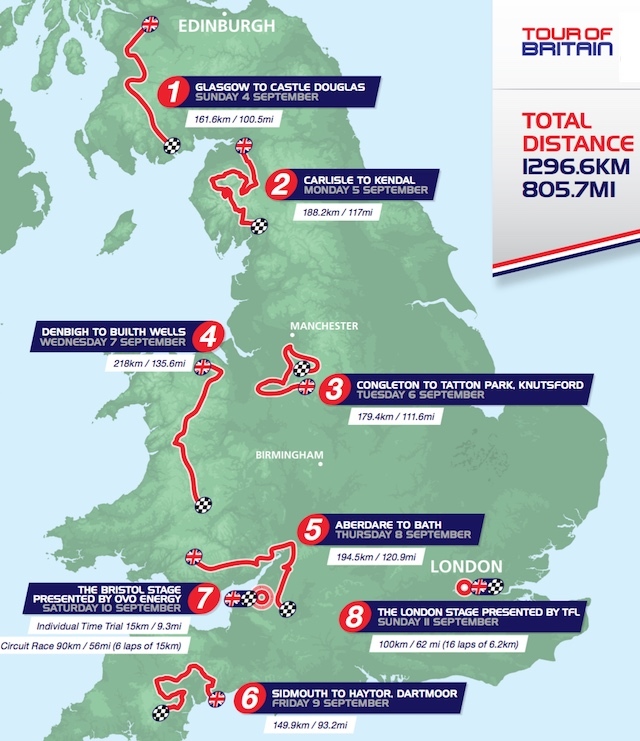 A very lumpy Tour of Britain this year with plenty of double-digit gradients to be tackled and the British public will be pleased to see another classic Lake District climb on the route. 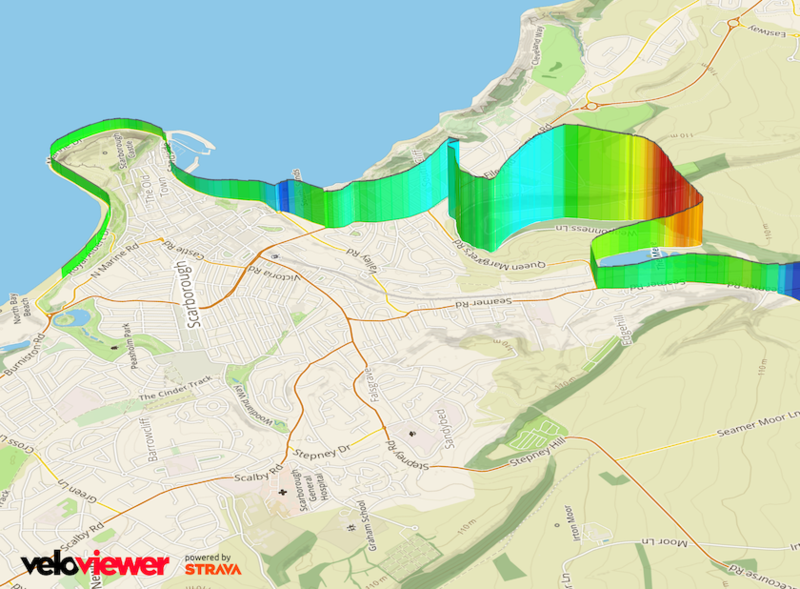 Even the short Bristol time trial is far from flat. There are too many climbs to list them all but here are the top bits of road where I think we’ll see the main action. Kinomap, the home of fully geolocated videos (videos tied into GPS data), are now automatically matching up the 1,000’s of videos uploaded to their site with Strava segments and VeloViewer has entered into a cross-Channel collaboration to connect those with your own data. You will now be able to filter your Segments List and the segments on your Activity and Route Details pages to discover those with Kinomap videos and of course watch the videos embedded in the VeloViewer Segment Details page. So whether you are wanting to relive the views from past rides or check out the roads of your next holiday then this new integration is here to help. It is an exciting time of year for us Yorkshire folk as some of the best cyclists from around the world compete on our roads and show off our county to the rest of the world. Not only do we have the 3 day long men’s race we also are treated to the full women’s peloton racing the full route of the 2nd stage including World Champion and Yorkshire lass Lizzie Armitstead along with a Emma Pooley who is looking to make the Olympics squad with some Rio courses that are perfectly suited to her abilities. The final timetrial of the 2016 Tour de France comes with just 2 more “proper” stages remaining and will provide a great opportunity for the final GC positons to be decided although the next day’s summit finish at Le Bettex and stage 21’s final climb of the Joux Plane. 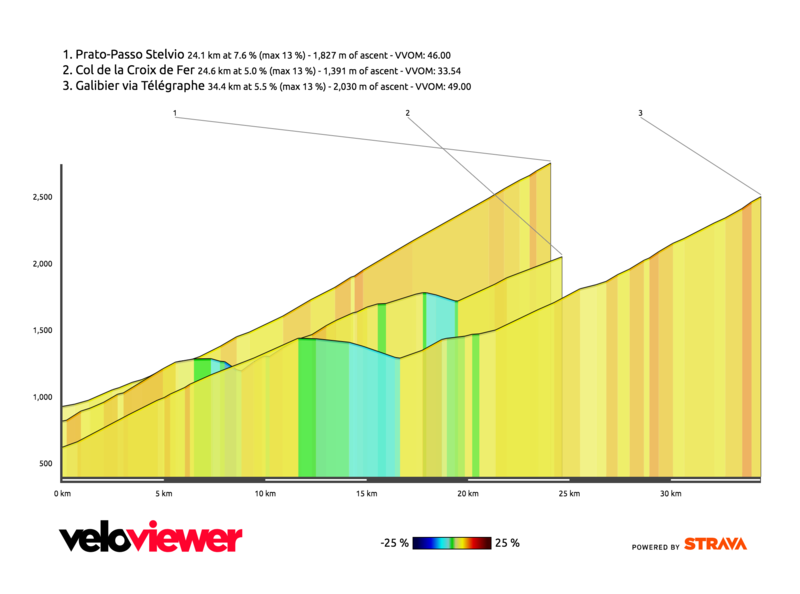 The timetrial itself takes in the classic climb from Domancy (tackled 20 times in the 1980 World Champs), up through Combloux before a couple of steep ramps and a short descent to the finish in Megève. The Etape du Tour is justifiably up there as one of the most prestigious sportives in the world, taking in a stage of the Tour de France just a few days before the race tackles the same roads. The 2015 route was 138km with 4,400m of climbing but the 2016 route, despite being slightly longer at 146km, looks to have a fair bit less climbing at around 3,500m. 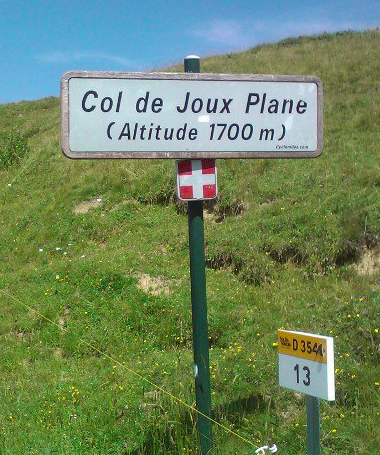 But it isn’t all good news, the fearsome Col de Joux Plane, often touted as the hardest of the main cols in the Alps, is saved till the end with just the roller-coaster descent to Morzine to follow. More details on the four climbs of the day below.